The War Doctor is back! 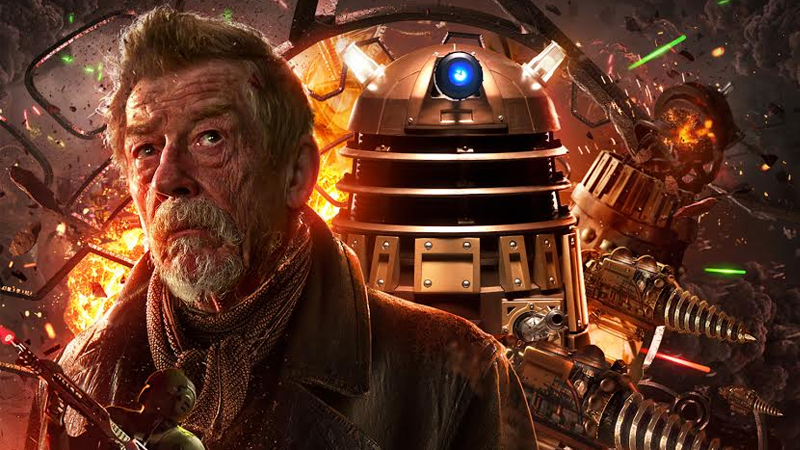 John Hurt’s conflict-ravaged incarnation of The Doctor has (so far) only made an appearance in Doctor Who’s 50th anniversary special, but that’s about to change: Big Finish have announced that John Hurt will reprise the role in an ongoing series of audio plays set during the Time War. Big Finish, who have been making audio dramas set in the classic era of Doctor Who since the late ‘90s announced the news today that John Hurt will return to the role alongside a full cast of characters for four boxed sets of audio plays—each set containing three linked stories, around an hour in length, set during the height of the Time Lord’s battle with the Daleks. Only one other cast member was announced: Blake’s 7 star Jacqueline Pierce, who will play a Time Lord Cardinal named Ollistra with a major role in the war against the Daleks. Aside from the four box sets—only two titles of which were revealed, Only the Monstrous and Infernal Devices—will be joined in 2017 by a special prequel series. Featuring characters from the War Doctor series, the prequel will not star John Hurt, but instead his immediate predecessor: Paul McGann’s Eighth Doctor.For the first time fans will be able to experience the earliest days of the Time War, before The Doctor cast aside his name and regenerated. The prequel will act as a piece of connective tissue between the Eighth Doctor’s lengthy run of adventures with Big Finish, and the 2005-onwards era of the TV show. This isn’t the first time the new era of Doctor Who has come to audio—it’s just the latest announcement of Big Finish’s increasing cache of series that will blend their classic era series with elements of the revived show. But it’s still a major step; Hurt is the first “New Doctor” to join Big Finish’s line, and the first time the company have been allowed to openly explore the Time War itself as part of their stories. Could audio series from the 9th, 10th, or 11th Doctors be on the way soon too? We can but hope. The War Doctor: Only The Monstrous will be out in December.